Kanger Valley National Park that sprawled over 200 sq km in the region house many species and distinct vegetation. It has natural caves like Kotem Sor and Kailash caves. We had already talked about the Kailash Cave in the valley that celebrated its silver jubilee in the month of April. 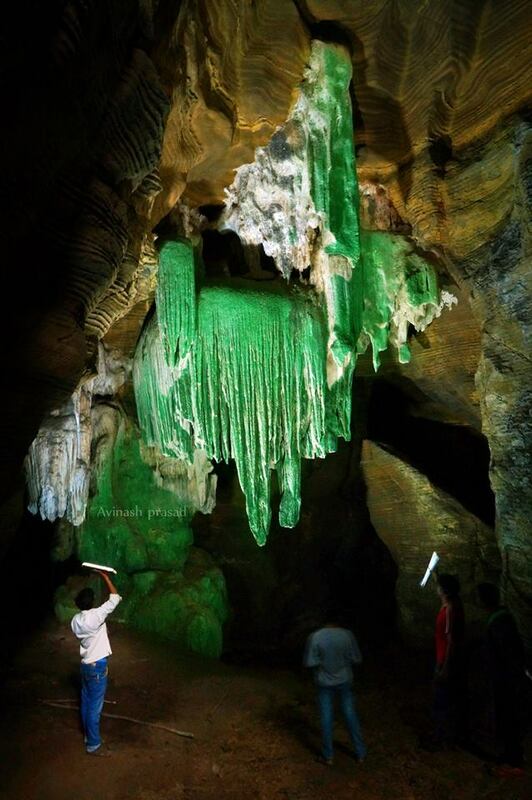 Recently, explorer spotted another cave in the valley that is known as Green cave. Bastar is known for its flora and fauna. Its vegetation and distinct climate attract many people across the globe. Now, I am going to talk about a peculiar cave located in Bastar. That is called Green cave. Before I move further, I must tell you one thing that this region has been ranked among the National Parks in the country in 1982 because of varied flora and fauna available here. 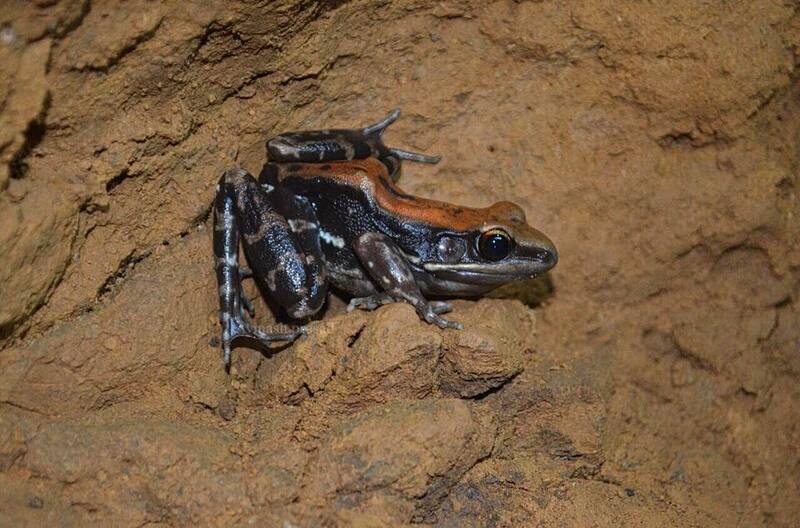 Rare species of the frog called Hdrophylax malabaricus is found in the caves in Bastar in Kanger Valley which has the colourful body. Now let’s talk about Green Valley. Caves located in the region has main attraction- they are stalactite and stalagmite pillars. 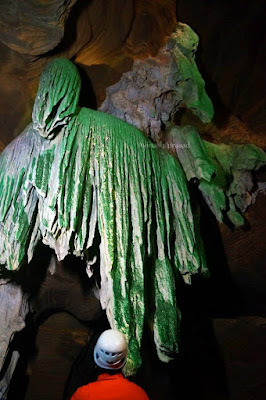 The explorer managed to get into the cave about 35 mitres deep to find about 20 feet tall stalactite and stalagmite green pillars. They look as if they were painted green manually. According to the geologists – the colour you could get to see is because of moss/algae that are grown on the pillar due to moisture and mild sunlight that enters for some time into the caves. While you move little further in the natural tunnel you have to struggle a lot to make your way into it. Well, you will forget for sure about the fatigue once you catch the sight of Green Pillars. Nice read. Though I would love to read a bit more details about the place. sure! you will get to know more about the caves soon.